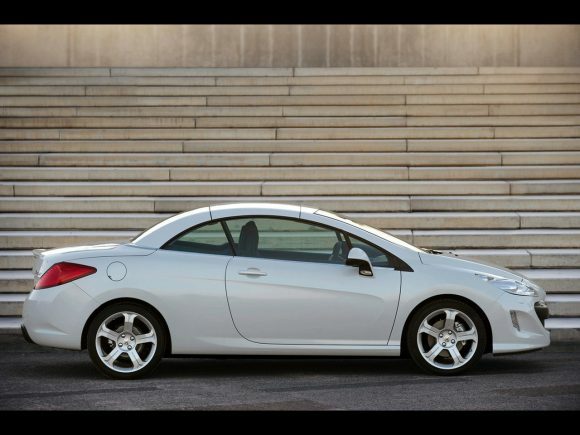 The Peugeot 308 CC replaces one of the most popular European mid size convertibles of all time. It makes considerable improvements. It’s a bigger car with more room for all four passengers. The CC is good looking too and those looks should be matched with better handling and a good turn of speed. Peugeot’s 2 piece folding hardtop roof has been refined and now operates in just 20 seconds. Equipment levels are impressive. Front seat occupants even get to enjoy warm air blowers around their necks for those chillier days. 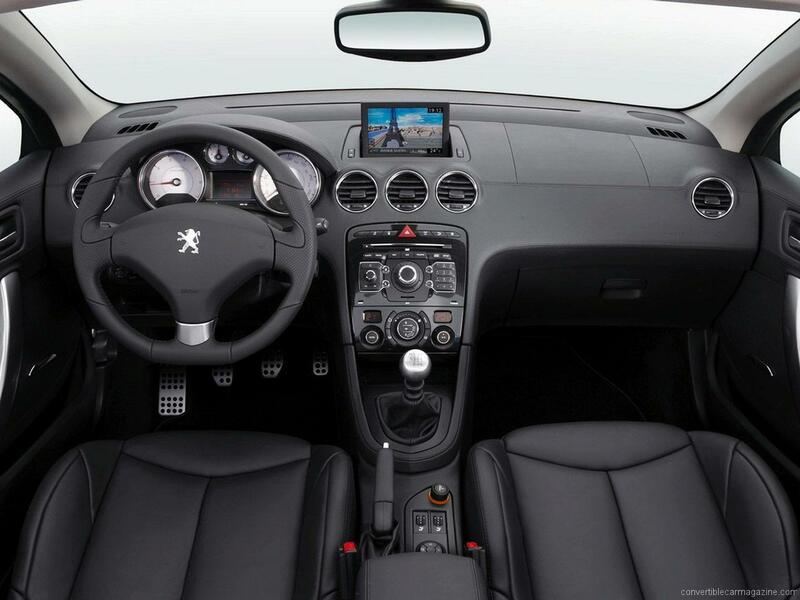 The 1.6 litre VTi base model Peugeot 308CC has an engine developed with BMW and also used in the Mini Cooper. It doesn't produce exciting performance but doesn't feel sluggish either and suits the car well while returning good economy. There is no option other than the 5 speed manual gearbox which, like the steering is rather light with a lack of feel. The turbo charged 1.6 litre THP Peugeot 308CC makes a big leap forward from the normally aspirated base model. Not only does it boast more impressive performance figures it also has a much more positive shifting six speed gearbox. Together they make the Peugeot feel more eager and dynamic although the steering the steering still feels a little too light to give real confidence in twisty roads. The aged 4 speed auto gearbox was updated to a more modern 6 speed unit (a big improvement) before being phased out. Initially the Peugeot 308 CC GT was simply a more sporting trim level but from 2011 the GT gets a more powerful version of the 1.6 litre BMW developed engine. A turbo-charger squeezes a healthy amount of power out of this excellent power plant while keeping respectable fuel economy. It somehow even manages to use slightly less fuel than the lower powered 156 model. 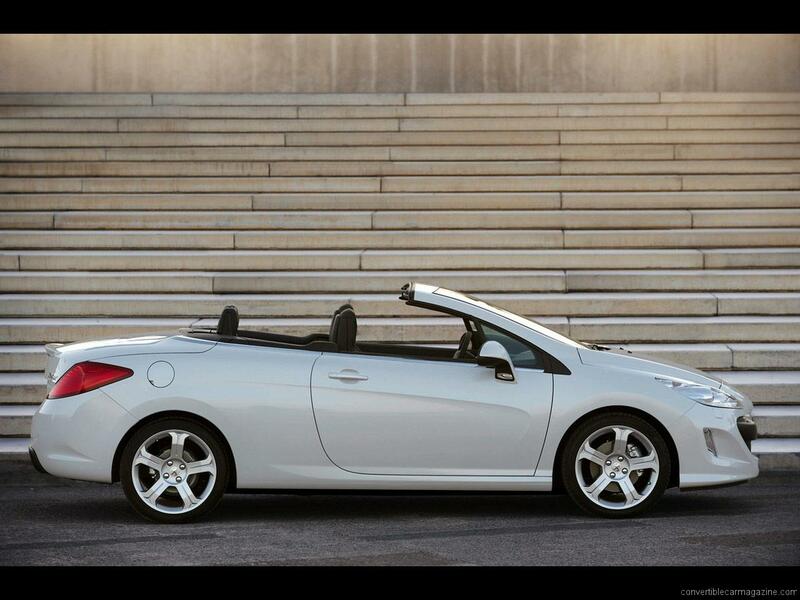 The extra power doesn't turn the 308CC into a sports car though with the emphasis more focused on comfort. It is however a pleasure to cruise in on the open road. 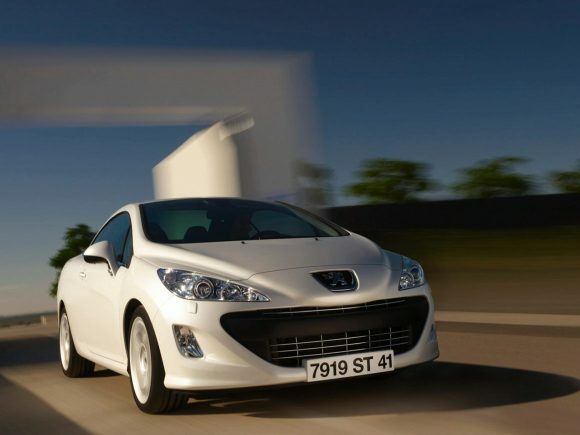 Peugeot's 308 CC HDi FAP was renamed the e-HDi after the engine management was further developed with micro-hybrid technology and start-stop to make it yet more economical. 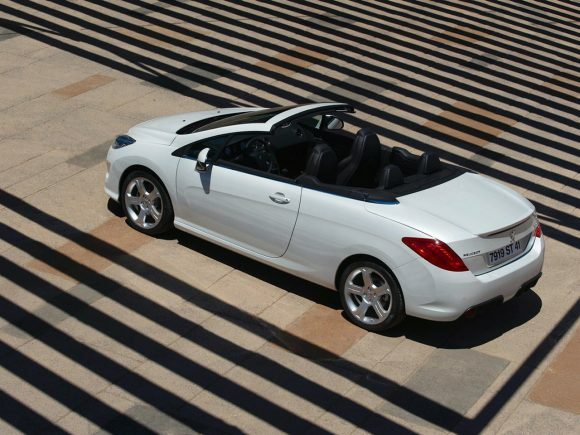 Performance is adequate and the super-efficient engine is relatively smooth and refined. As you'd expect, it is better suited to long distance cruising than spirited driving but with plenty of torque it has plenty of go at lower speeds. At launch the Peugeot 308 CC came with three diesel options a 1.6 and two 2 litre cars with different power options. the HDi 140 was the lesser of the 2 litre cars and was phased out in 2010. The updated Peugeot 308 CC 2.0 HDi 163 gets a much more torque then the older model along with improved economy and emissions. For a diesel it feels quite sporty and is surprisingly smooth. It's quiet too with little road, wind or engine noise when traveling at speed. 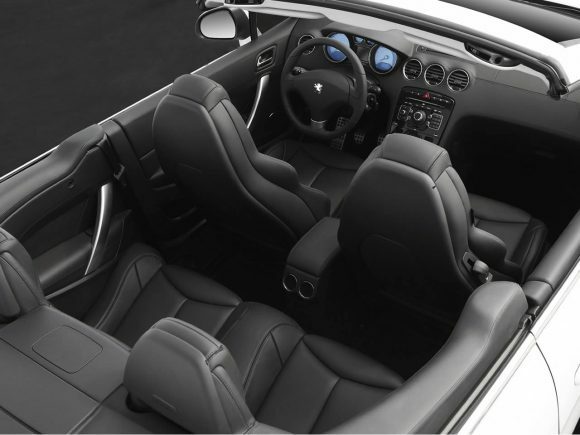 Equipment level is good and the car's interior is a pleasant place to spend time by any standard. 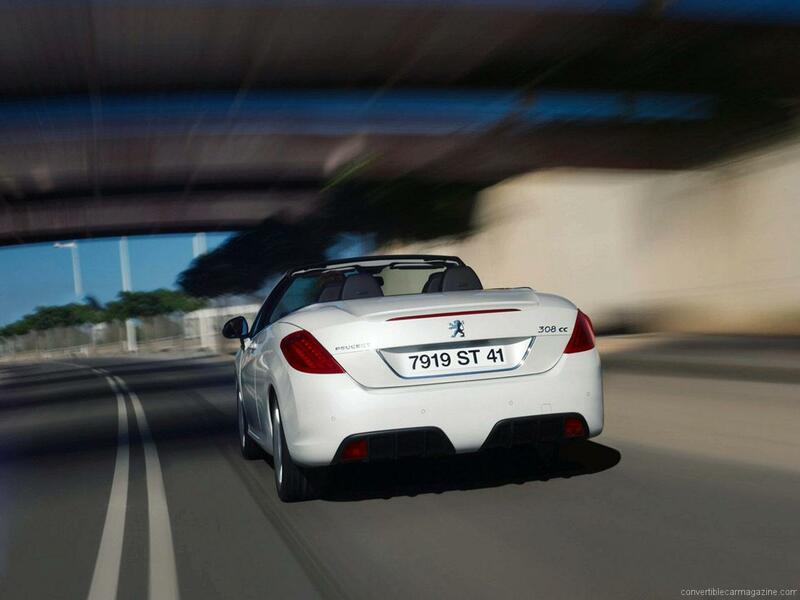 The Peugeot excels as a long-legged cruiser but isn't quite as competent on winding roads. Do you drive a Peugeot 308 CC? Would you recommend it to others? This Peugeot already has one owner review, continue the conversation and let us know what you think of the car. It is the worst design I have driven. Water drips on the seat if you open door. You get drenched if the window is opened 10mm, wipers stop about 15cm from pillar making it quite dangerous at junctions. road holding is dreadful, if you hit a cat’s eye when overtaking it hops sideways. I spoke to someone in a car park this week and they agreed, we both said we would never buy another. On the plus side it is very economical to run and the insurance is very cheap. It is a heavy car and feels very safe and the wind-stop is brilliant.